It is often asserted that Columbus is the ice cream capital of the world, and while the city has a very good case, including the rest of Central Ohio does make a stronger argument for ice cream dominance. 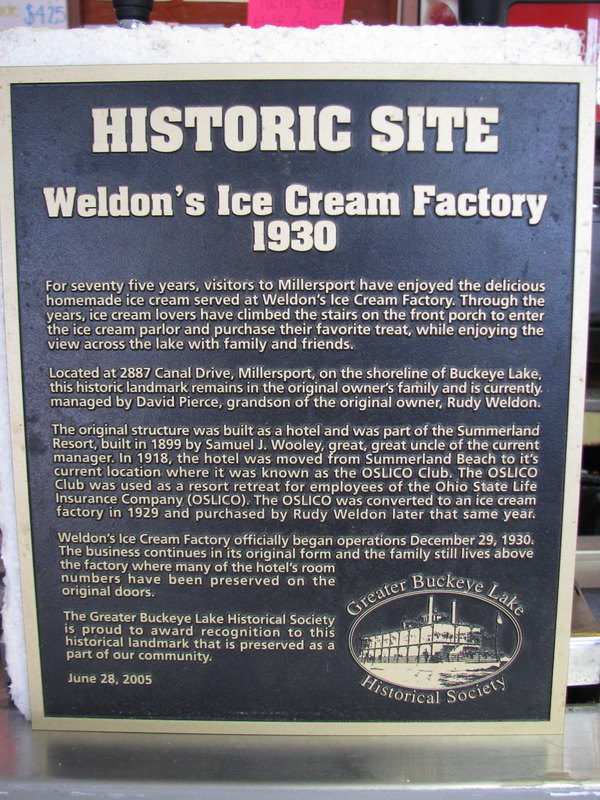 Weldon’s have been producing ice cream in the same location for 80 years and their Millersport store, overlooking Buckeye Lake would be another jewel in the crown. 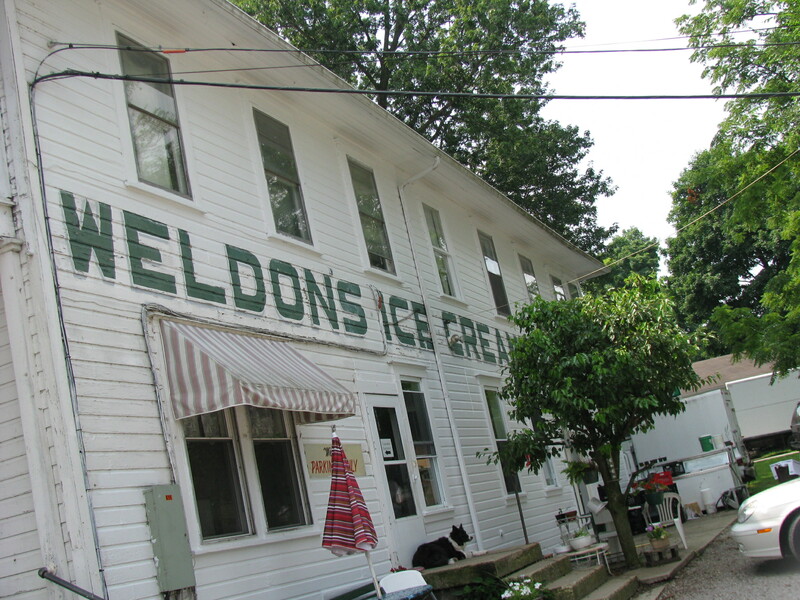 My first visit to Weldon’s was a welcome reward for a long, hot bike ride through seemingly endless cornfields. 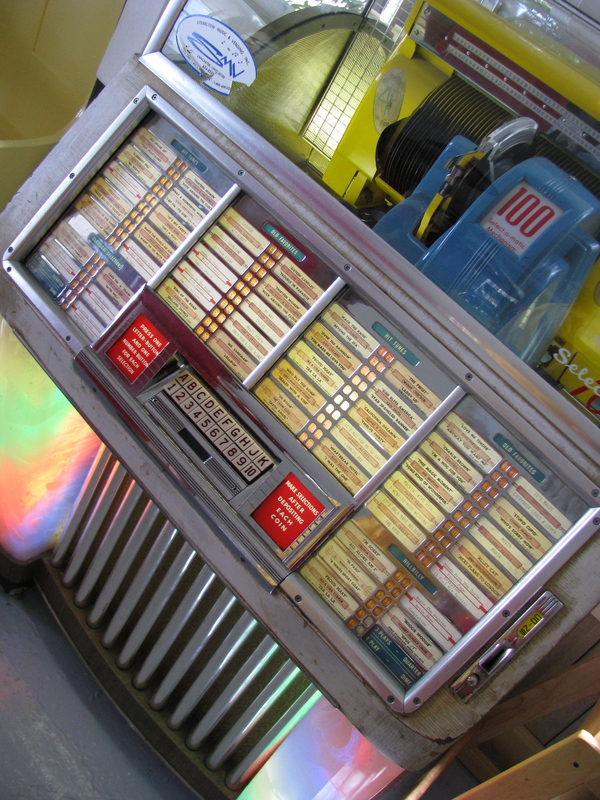 Entering the store you have the sense of stepping back in time: painted wooden benches, an old juke box with three plays for a quarter and home-made ice cream drumsticks. Samples of their many flavors are given on a metal spoon. The most popular flavors are always available but other flavors rotate. Some like Rocky Shores, Mudd Island and Buckeye Blitz seemed appropriate for the location. I chose brown cinnamon peach and craw dad tracks and was particularly enamored with the brown cinnamon peach and the drip catcher was useful on a 95º afternoon. The brown cinnamon peach was a smooth creamy blend with a good balance of the fruit and spice flavors. The craw dad tracks was a creamy vanilla ice cream with pecans and caramel. Weldon’s is definitely worth a stop if you are in the Buckeye Lake area and may even justify planning a day trip around. Buckeye Lake, man-made as a feeder lake for the Ohio and Erie Canal, is now a state park with plenty of opportunities for boating, fishing and swimming. I love this article and I love Weldon’s, having grown up next to some of the relatives of the owners. 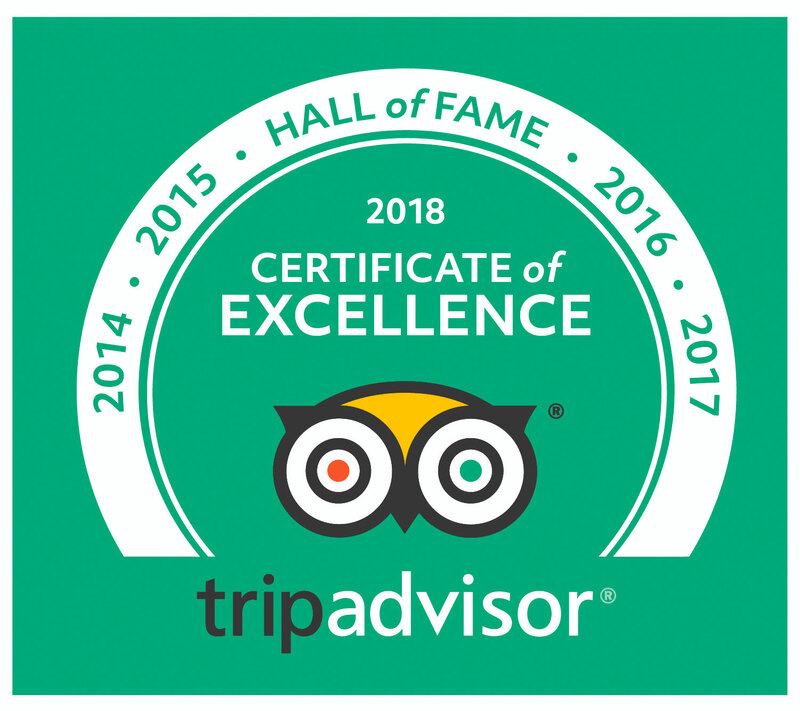 Thanks for giving this regional gem some notice! Thanks. I love finding interesting and delicious places, especially when they have a long history like Weldon’s. 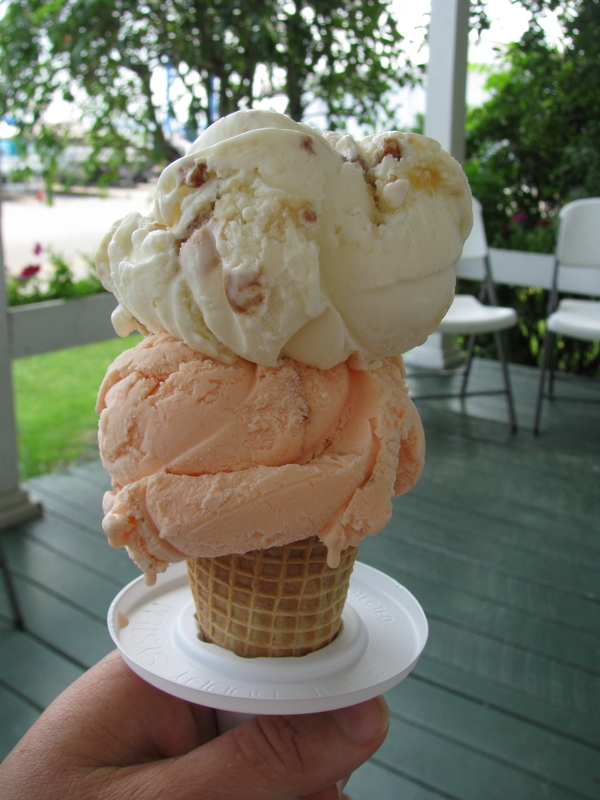 Do you have a favorite Weldon’s flavor?